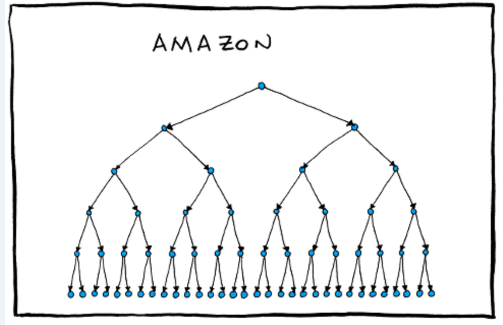 Amazon– Classic mafia structure, the don (Jeff Bezos) is on top, soldiers report to their captains, they report to the guy above, and he takes orders from the don. 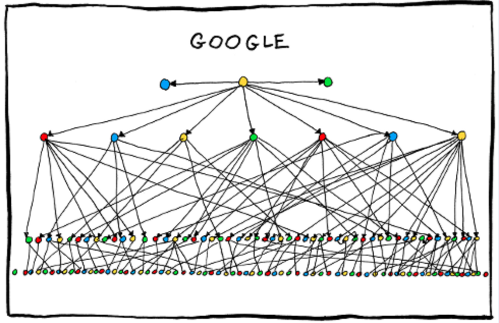 Google– Much more networked, everyone talks to everyone, except for the trinity on top. The one in the middle is, the CEO, while the two on the sides are the founders. 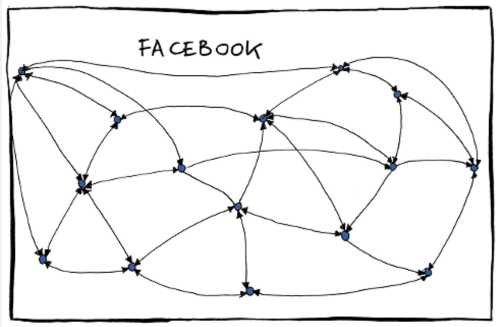 Facebook– It’s a kind of a network. The social kind. 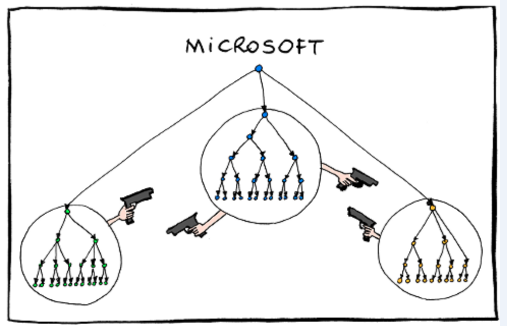 Microsoft– Mexican stand-off style for all of the product groups. This has since changed at Microsoft when Steve Ballmer left in 2013 and the focus became on Microsoft as a brand of products that are integrated. 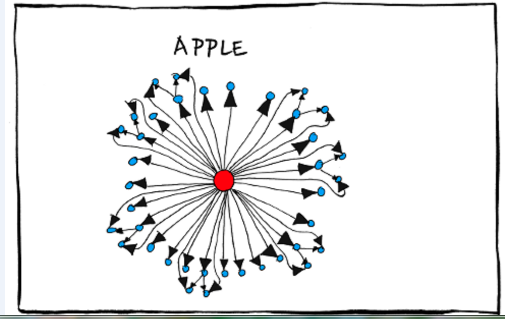 Apple– I think this is my favorite one. The guy (Steve Jobs) in the middle is the Sun God, and the world revolves around him. The Sun God knows best, therefore no one is spared from his great expertise on everything. This changed as well, when Steve Jobs passed away in 2011. 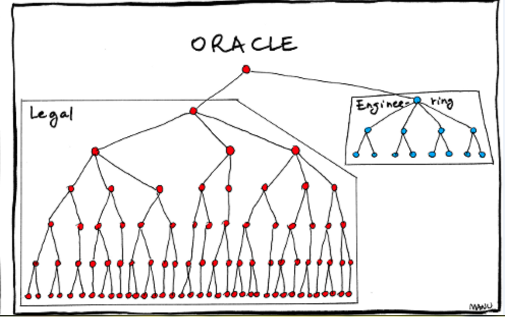 Oracle– It’s a law firm (needed since it buys so many companies) with a small software department.